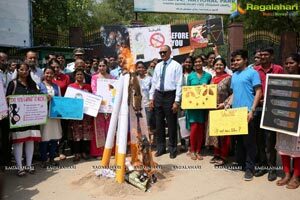 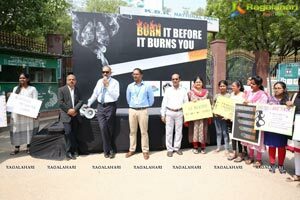 Apollo Hospitals commemorates 'World No Tobacco’ day with a public awareness program! 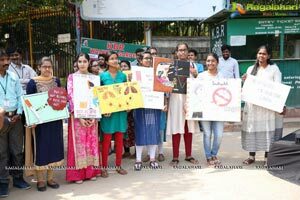 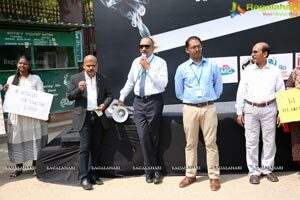 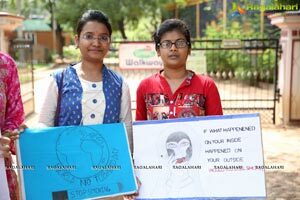 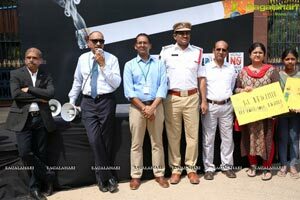 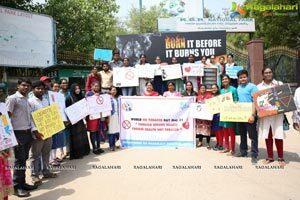 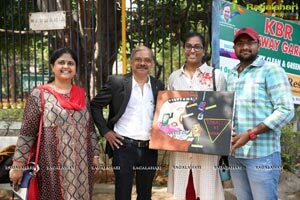 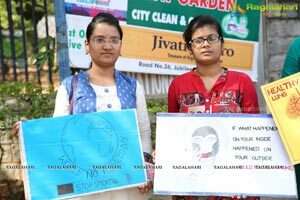 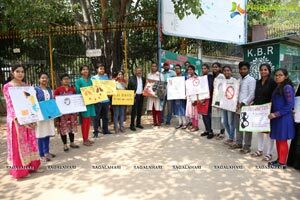 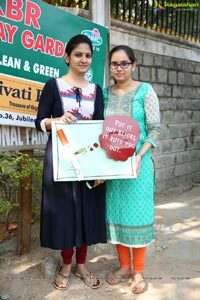 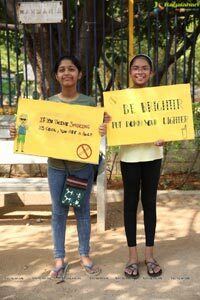 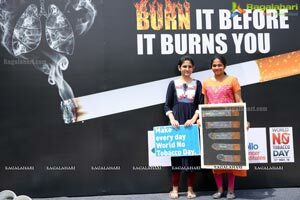 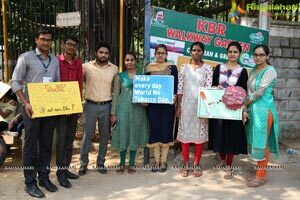 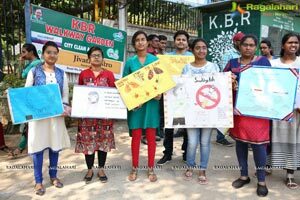 To commemorate the World Health Organisation designated World No Tobacco day, on May 31st, Apollo Hospitals, Hyderabad, hosted a No Tobacco usage awareness event on Thursday at KBR Park main gate. 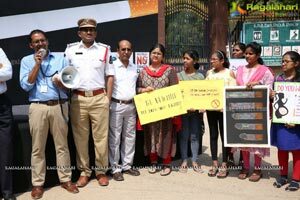 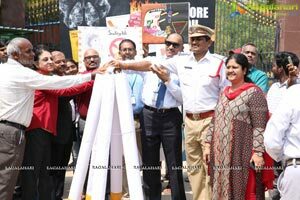 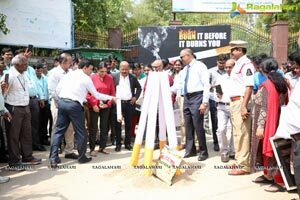 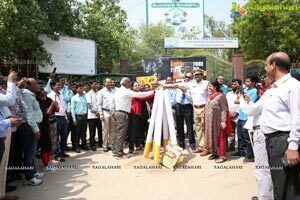 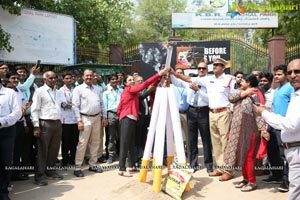 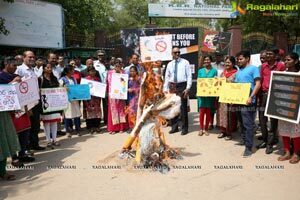 Chief Guest Sri Anil Kumar, IPS, ACP (Traffic), Hyderabad, burnt a giant cigarette, to symbolically burn tobacco before it burns us and create a smoke free world for us and the future generations. 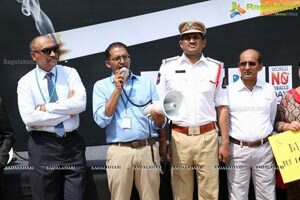 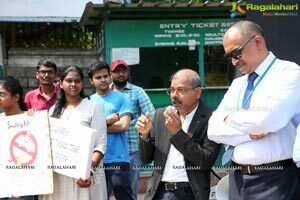 Mr. Y Subramanyam, CEO, Apollo Hospitals, Hyderabad; Dr. Umanath Nayak, Consultant, Head & Neck Cancer Surgeon, Apollo Cancer Institute & Dr. Sai Praveen Haranath, Pulmonologist & Critical care specialist, Apollo Hospitals, were present on the occasion. 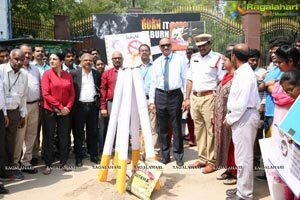 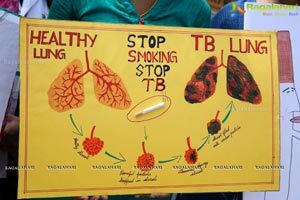 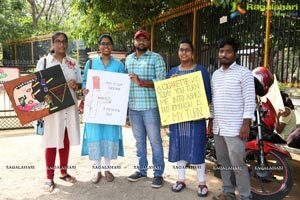 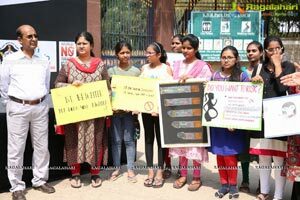 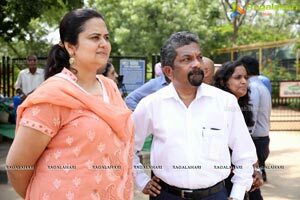 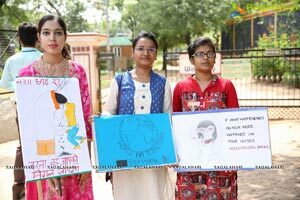 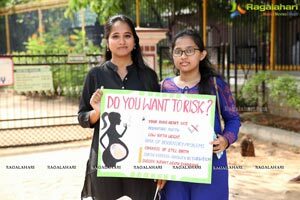 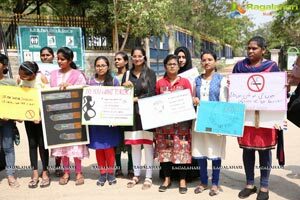 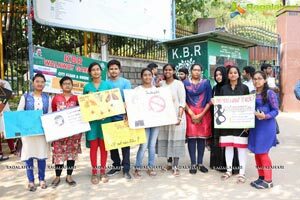 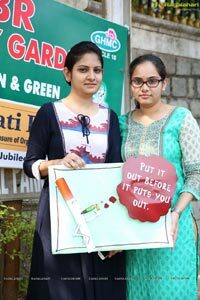 The No Tobacco Usage Program was organised to raise awareness amongst the public about the dangerous health effects and fatal impact of Tobacco on human beings. 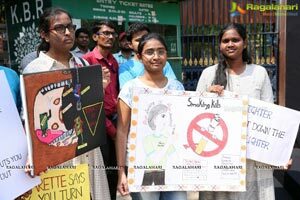 The wide spread use of bidis, cigarettes, tobacco chewing andhookah, especially among the younger generation is tragic and cause for serious social concern. 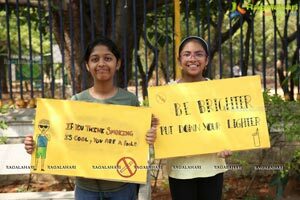 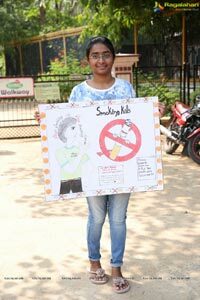 It is estimated that there are over 20 million adolescents in the age group of 15-20 years who are addicted to some form of tobacco or pan masala in India. 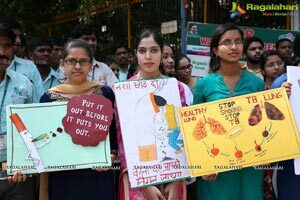 Tobacco besides impacting breathing, can worsen asthma, lead to COPD and is also the cause for over a third of all cancers. 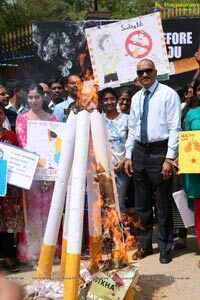 The focus of World No Tobacco Day 2018 is "Tobacco and heart disease", as heart and other cardiovascular diseases (CVD), including stroke, are the world's leading causes of death. 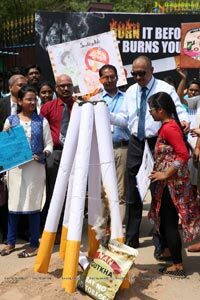 Studies in the past indicated that Tobacco use is an important risk factor for the development of coronary heart disease, stroke, and peripheral vascular disease.Despite the known harms of tobacco to heart health, and the availability of solutions to reduce related death and disease, knowledge among large sections of the public that tobacco is one of the leading causes of CVD is dismal. 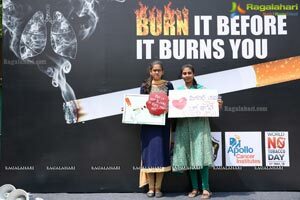 Cardiovascular diseases kill more people than any other cause of death worldwide, and tobacco use and second-hand smoke exposure contribute to approximately 12% of all heart disease deaths. 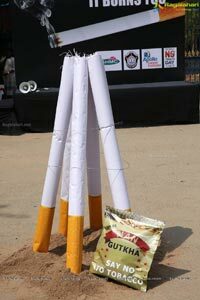 Tobacco use is the second leading cause of CVD, after high blood pressure.The global tobacco epidemic kills more than 7 million people each year, of which close to 9,00,000 are non-smokers dying from breathing second-hand smoke. 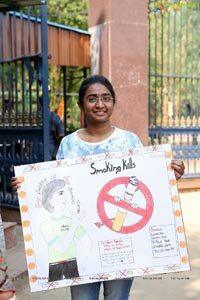 Nearly 80% of the more than 1 billion smokers worldwide live in low and middle-income countries, where the burden of tobacco- related illness and death is catastrophic. 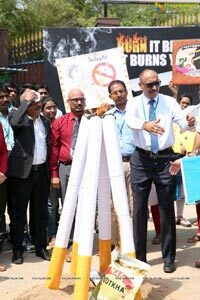 Apollo Hospitals, as the global leaders in promoting health, has established a comprehensive program to detect, prevent, treat and control all Tobacco related diseases at its dedicated. 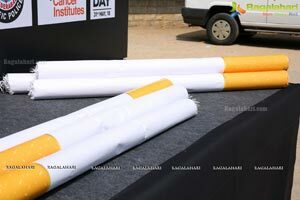 Tobacco and smoking cessation clinics. 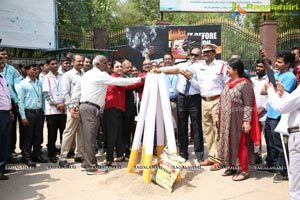 The Clinics have Pulmonologists, counselors and an entire team of health professionals to manage and stop the tobacco addiction and treat related ailments. 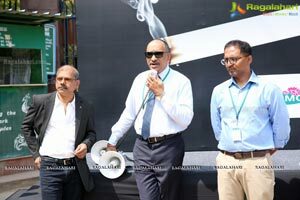 It was in 1983, that Dr. Prathap Reddy made a pioneering endeavour by launching India's first corporate hospital - Apollo Hospital in Chennai. 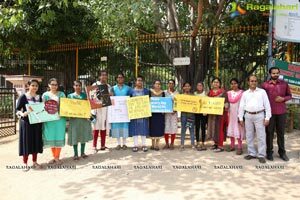 Now, as Asia largest and most trusted healthcare group, its presence includes 8,488 beds across 51 Hospitals, 1,586 Pharmacies, 92 Primary Care and Diagnostic Clinics, 100 Telemedicine units across 10 countries. 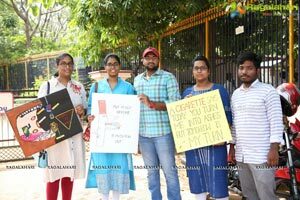 Health Insurance services, Global Projects Consultancy, 15 colleges of Nursing and Hospital Management and a Research Foundation with a focus on global Clinical Trials, epidemiological studies, stem cell & genetic research and the first Proton Therapy Centre across Asia, Africa and Australia.